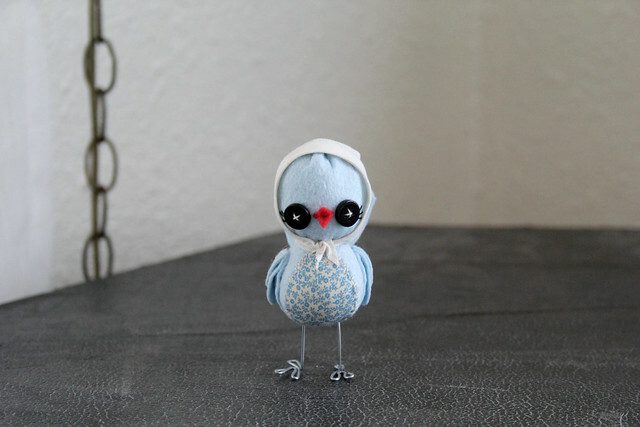 I had the pleasure of making this little birdie for another one of my very favorite customers. She buys a cake topper for each of her kids' birthdays. I love, love this idea. I need to start this for my own kiddos, I think. How fun would it be to watch your collection grow over the years? Oh my goodness! Cute as usual Ms. Katie. :)) I might just need to get something for my little Harper on the way. Omygosh!! Please make more bc I would LOVE to buy one for my daughter-to-be's nursery. So so cute!!! Too cute! Such a great idea to have a keepsake from each birthday! 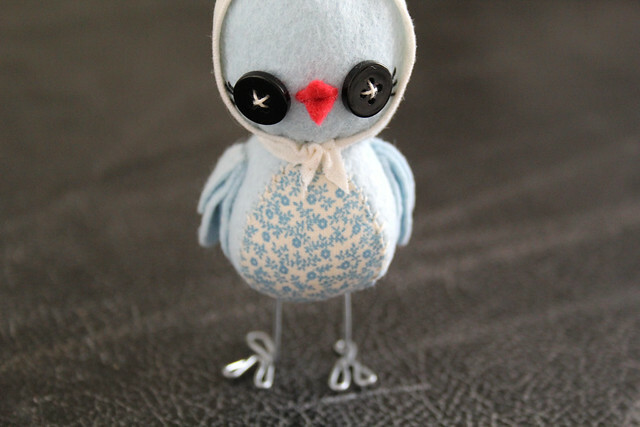 Awww what a cute little birdy! How adorable!!! What a great idea to have a cake topper for each birthday! Super cute! So cute! I love the bonnet! Just like a Cinderelly birdie! Love the Cinderella theme! Gus would make a cute cake topper as well! I LOVE this! Disney (especially Cinderella) and your little creatures are some of my favorite things. This is so completely perfect. oh she is absolutely adorable! and what a sweet tradition! Gorgeous! And a great tradition idea. Your talent amazes me! These little animals are seriously the cutest! Such a cutie. You are very talented! I love following your blog. :)Thanks! That is a sweet way to build a collection. So cute!!! Great keep sake to remember each birthday. So cute! That is such a cool idea! 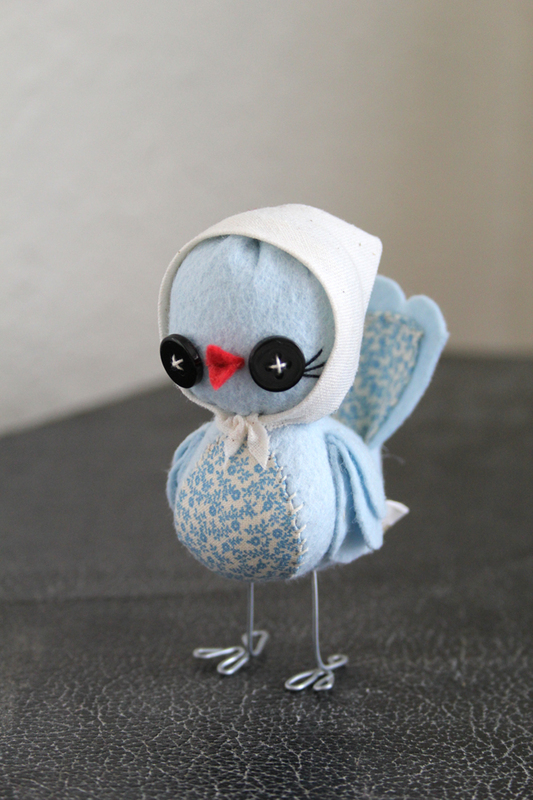 I think you should make a few more too :) Your birds are my favorite! I'm so in love with this little birdie! Adorable. So cute! I love that idea! It's very cute! The wire foot make it look cartoon like and I love the mix of fabrics and fibres. The floral is a nice contrast to the felt. Awh, that is such a sweet idea. I wouldn't mind my own collection of cake toppers like these. SO SWEET! Love this lil red beak and eyelashes!! This just brightened up my day! This is my most favorite yet!!! so adorable.. 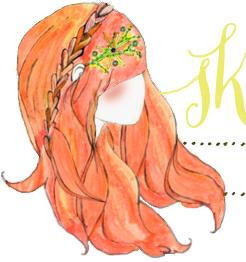 I just stumbled across your site and this little lady is freaking amazing!